El short, el bolso y las sandalias son adquisiciones de rebajas y el resto ya lo habéis visto por el blog. ¿Qué os parece el resultado?, ¿os gusta este tejido? The short, handbag and sandals are purchases of sale and the rest you have seen the blog. What do you think the result?, Do you like this fabric? Esta semana publicaré un nuevo post en mi blog de complementos con las novedades que he hecho, pero para no dejaros con la intriga os dejo con unas fotitos de Instagram, buscadme por CAROLGT88. ¡Os espero en Trendy Dreams Accesories! This week we publish a new post on my blog with the latest additions I made, but not leave you in suspense I leave you with some photos of Instagram, look for by CAROLGT88. 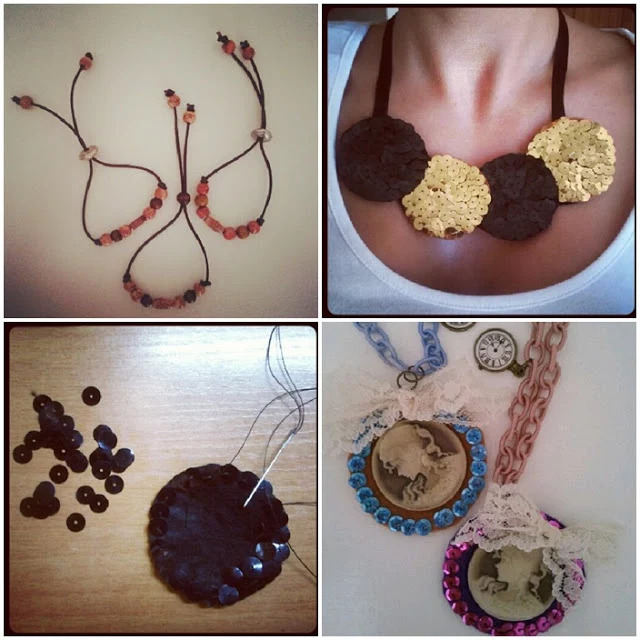 I hope to see my blog Trendy Dreams Accesories! ¡Feliz semana y muchísimas gracias por vuestros bonitos comentarios! Happy week and thank you very much for your lovely comments!